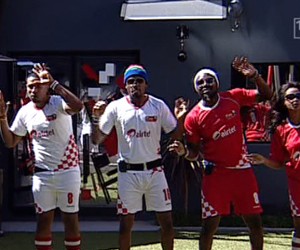 The Housemates have come up with a fun dance routine to accompany their catchy Airtel song. This afternoon, the garden reverberated with the sound of loud singing and dancing as the Housemates went through their paces. The gang seemed to be having a great time as they practiced their dance routine in preparation for tonight's Task Presentation. The Chasemates, led by Cleo, decided to throw together various dance moves to ensure that their performance pops this evening. Everything from stepping, to the electric side was added to the routine, to spice it up. Will Biggie be impressed?